d-c-home | You can start the new year in a more organized way with this trendy material mix. You can start the new year in a more organized way with this trendy material mix. Is one of your new year’s resolutions to keep your desk tidier? 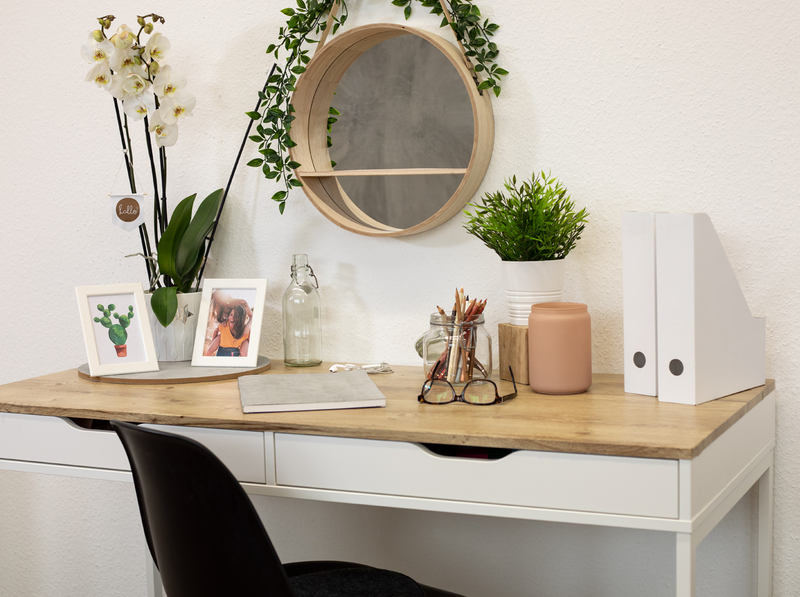 With our new Ribbeck oak and concrete films from d-c-fix®, your desk will instantly look much more modern and you’ll be able to keep an eye on your organization.